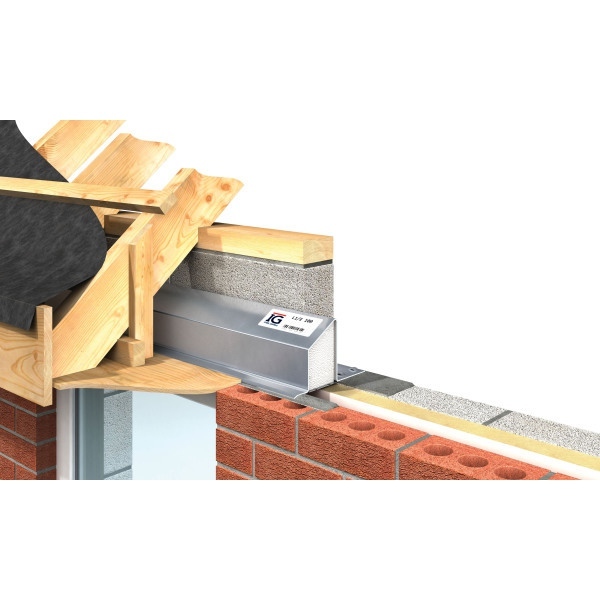 L1/E lintels are designed to provide support over openings at eaves level. The eaves lintel has a shortened outer flange to allow the underside of the soffit board to be positioned tight against the window frame. It must be noted that brickwork cannot be built onto the outer flange of an eaves lintels. Masonry is built on the inner leaf only.